The most durable and visually appealing banners available in the industry – backed by the industry’s most comprehensive warranty! › Who We Are › Our Blog › The most durable and visually appealing banners available in the industry – backed by the industry’s most comprehensive warranty! 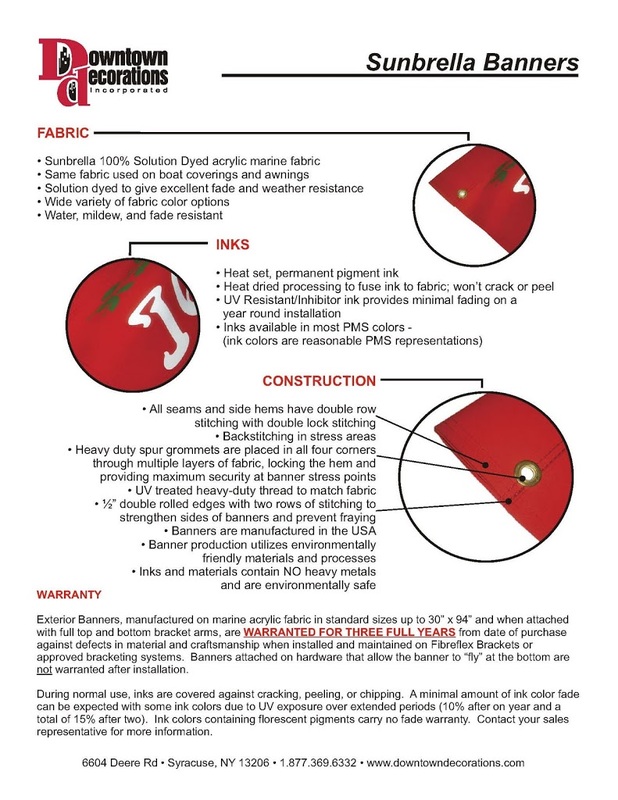 There is no dispute that Sunbrella is by far the most durable and visually appealing of the materials currently available to the commercial banner industry. While vinyl is still a very popular option due to its less expensive cost / unit and ability to allow for stunning photographic quality images - there is no doubt that Sunbrella will hold up better, will withstand the forces of mother nature, and will provide a long term visually appealing solution. 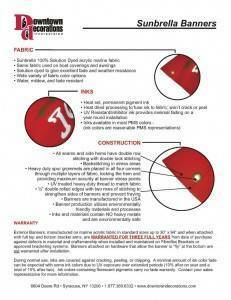 We have posted one of our Sunbrellla spec sheets above for your review.